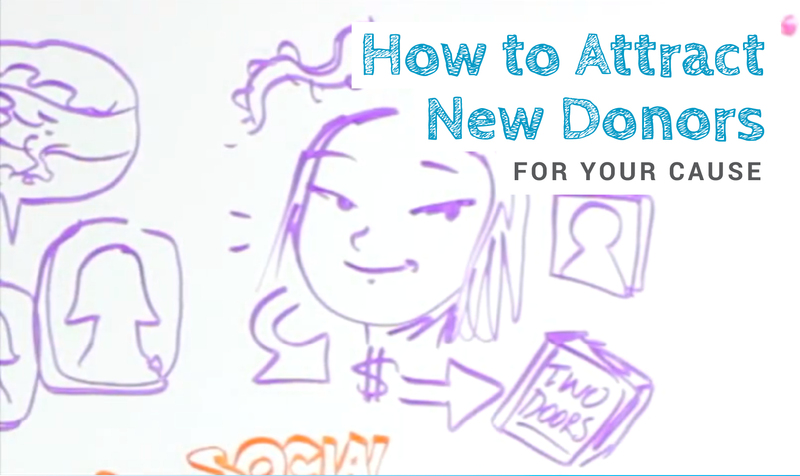 The task of acquiring new donors requires much more than just slapping a “Donate” button on your website. With so many causes and so much clutter in today’s fast-paced world, it takes discipline, know-how, patience and creativity to get through to new people so they can hear about, become interested in and donate to your cause. Shereen – not usually one to grab a book from the fantasy section – could barely put this new title down. Reflecting on how she happened to pick this particular book, Shereen realized the seed had been sown when she noticed the Two Doors cover in bookshops and in advertisements around town. She then noticed several of her friends on Facebook talking about its creative exploration of a second-generation immigrant experience. This piqued her interest, which grew a few weeks later when she heard the author interviewed on the radio about his culture’s mythology about dragons as gatekeepers. Then Shereen noticed a local book club was hosting a discussion about Two Doors later that month. The combination of an emotional connection to the topic, the recommendations from friends, and hearing about the book in other places, all led to her handing over her cash for a new favorite read. Keep in mind: An old marketing adage says that it takes seven ‘touches’ before someone will act – people need to hear your message seven times before they buy in. 1. Proactively be seen and heard. 2. Enlist friends as trusted sources that can help spread the word. 3. Use “social proof” from third parties to help reinforce your message.